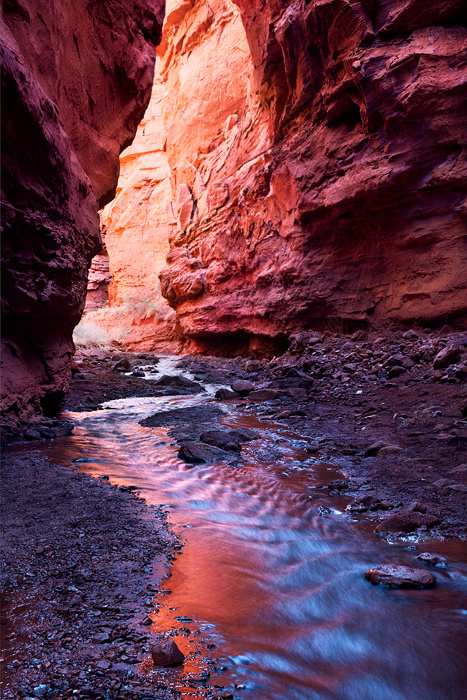 A relatively unknown slot canyon in Eastern Utah shown here in the late afternoon during peak spring run off. The rock walls in this place are a natural red. Photo © copyright by Michael Greene.